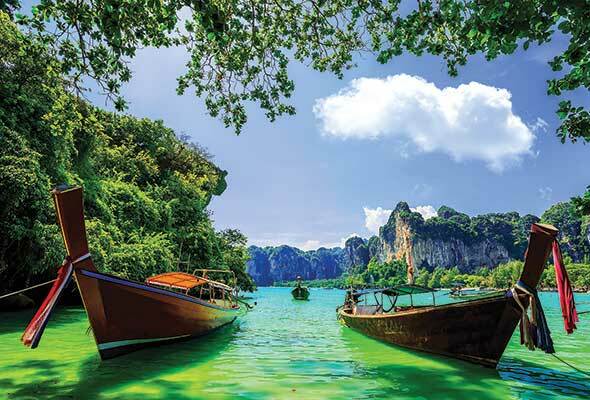 This month, we head to the beautiful island of Ko Samui, Thailand’s second largest island. 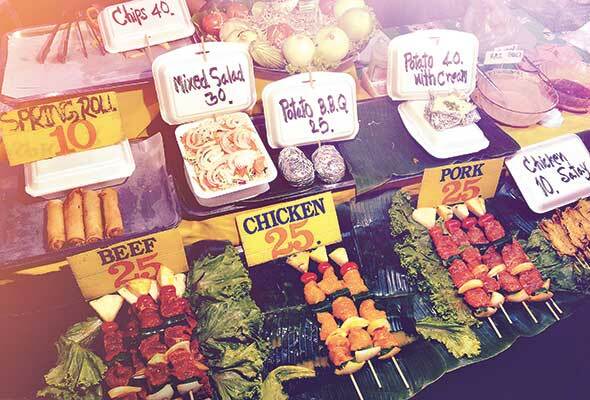 This bustling street market is a must-visit for a taste of lively shopping and nightlife. It’s a little touristy, with the traditional Thai bars now interlaced with American franchises such as Hard Rock and Hooters, but there are still some hidden gems along the strip. Shopping wise, you’ll find all the typical souvenir shops but there are some bargains to be had – just be prepared to haggle. 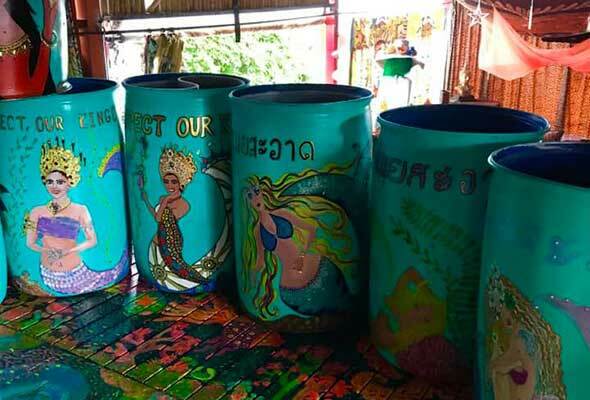 Samui Bins is an initiative launched on the island to combat Koh Samui’s ever-growing litter problem. A team of volunteers led by Idania Reiss design and paint beautiful trash cans, which are then bought by hotels and restaurants to put on their beach fronts and outside their businesses to encourage people to throw their litter in the bin, not into the ocean. 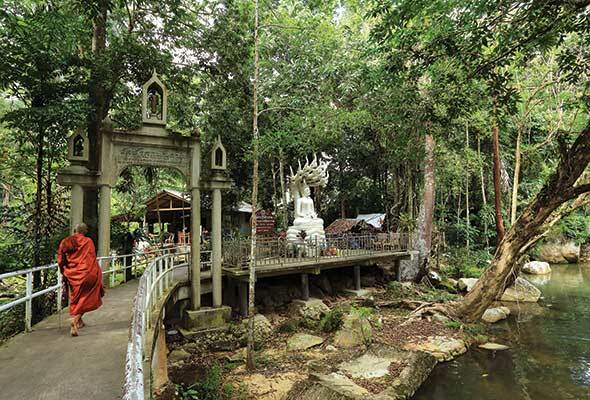 There are some beautiful natural waterfalls all over Koh Samui, from the scenic twin Na Muang waterfalls, to the Hin Lad waterfall, where you’ll get to pass the active Buddhist temple, Hin Lad Waterfall Temple on your way to the top. More experienced waterfall chasers should head to The Secret Falls, located deep in the Koh Samui jungle. It’s not the easiest to navigate – but it’s worth the trip. You’ll find Jungle Club perched on a steep hilltop on the eastern side of the island. 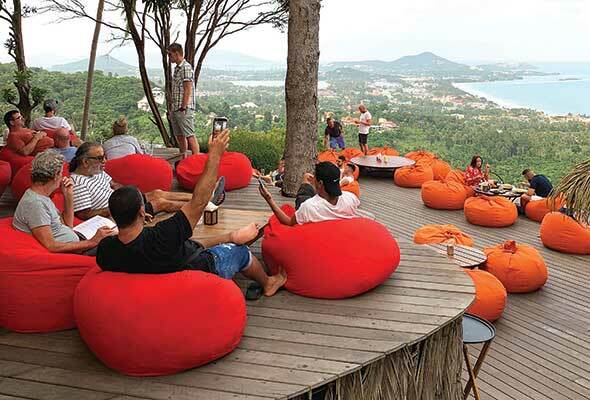 It’s worth a visit for the views alone, which look out over Chaweng Bay and out towards the Gulf of Siam, but also serves up a well-balanced international menu with something for everyone. 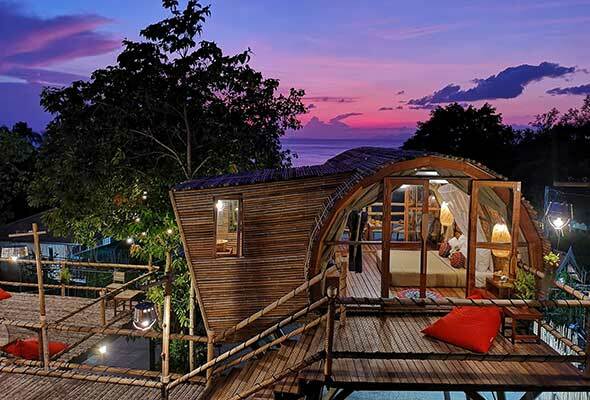 Budget-friendly and brilliant, The Mud is a three-star resort made up of individual bamboo bungalows that come in at around Dhs400 per night. But if you’re staying elsewhere, head to the restaurant for cheap Thai eats made fresh in front of you and the best lemongrass juice you’ll find on the island. 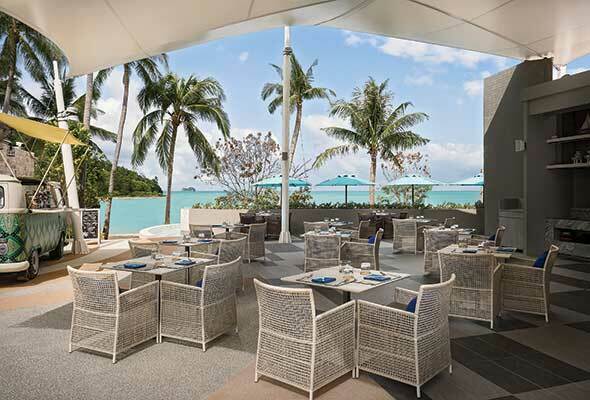 Beachfront restaurant Essence looks out over Taling Ngam Bay. Serving authentic Thai dishes with a focus on freshness, executive chef Kien Wagner has developed relationships with local fisherman and frequently visits the local food markets to ensure he produces authentic dishes. Don’t leave without tasting the proper pad Thai. 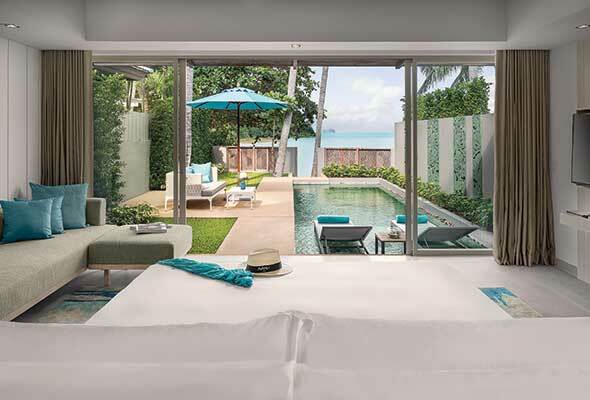 A new edition to the southern, relatively unspoiled side of Koh Samui is the Avani+ Samui, a luxury beachfront resort that’s also investing in its responsibility to the island. The resort comprises 25 guest rooms and 27 villas, which open up to lush private pools. There are also a further six, two-bedroom beachfront villas, which come with a separate lounge area, terrace and private pool. Rooms are spacious and furnished with modern touches, but there’s a heavy focus on sustainability. The entire resort is plastic free, and plastic bottles are replaced with refillable water bottles; meanwhile, a bin split into recycling and non-recycling replaces the typical trash cans. The resort facilities are impressive, and as well as on-site dining, a spa and two impressive pools, the hotel also works hard to prepare unique and memorable excursions and activities for its guests, from beginner yoga classes by the poolside and cooking classes with the executive chef to long-tail boat trips to neighbouring islands, chasing waterfalls and shuttles to Chaweng for a slice of shopping and nightlife. Koh Samui is known for its high population of somewhat ferocious mosquitoes, so be sure to prep before heading out for the day. There’s plenty happening on the island to combat the growing plastic problem, from painting trash cans to hauling rubbish out of the ocean on scuba diving tours. Wat Pra Yai, also known as The Big Buddha, is arguably Koh Samui’s most visited tourist spot. But there are some beautiful, unspoiled temples off the beaten track too. Even if you’re not normally an early riser, it’s worth heading to the beach, or one of Koh Samui’s many peaks, to catch the stunning Koh Samui sunrise – they’re some of the best Thailand has to offer. You’ll need to fly via Bangkok to get to Koh Samui. Economy class return fares with Etihad start from Dhs2,913.